I love these books! As much as I hate to wait, I love books which keep me one my toes so I cannot wait till the next one. My question is, how did you come up with the plot line/ characters for this book? Did you take your inspiration from everyday life? Or other books ect? I love to read and write and I’ve been trying to come up with some original ideas but seems like they’ve all been done before haha so im just curious how you came up with everything? I have only read the first copy of Shadows and I absolutely loved and enjoyed it each words had me hanging on for more. I am really looking forward to reading your other books, you are truly an amazing author. 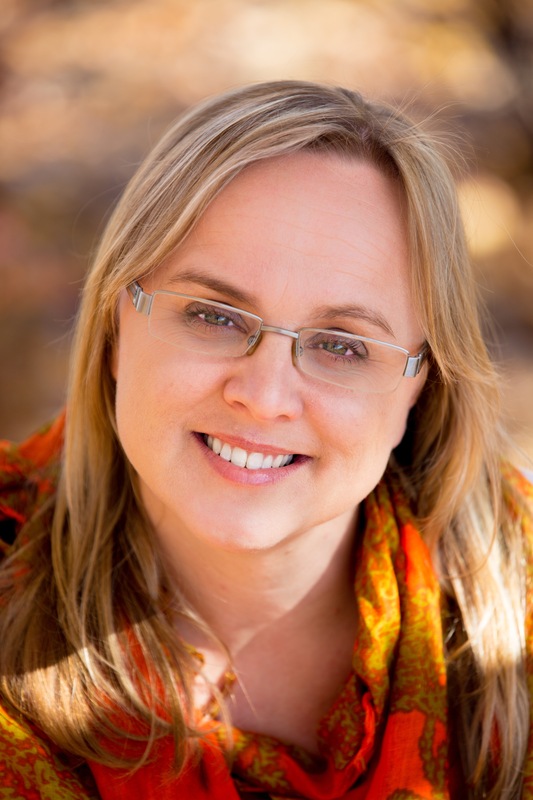 I also want to say I feel so excited to be able to message you I have been searching the Internet to try and contact you, you are by far my fav author! Thank you for your fantastic writing 🙂 I hope they make a movie out of this book it would be a great hit! Two days ago I picked up the signed copy of Burn that my mum had managed to reserve for me at a bookshop. Predictably, no one saw me for the rest of day, except for dinner, until I had finished it. At which point, I presently began to recount the entirety of Gabe’s story to anyone who came within a 2m radius of me, physically and via text message. It’s written very well and is a fantastic ending to a amazing series. It’s very exciting to read Gaby’s backstory and find out the secrets and answers to the questions that have been collecting throughout the other books. Paula, thank you for being a fantastic writer and composing a series that’s enjoyable to read and makes readers ecstatically happy (as well as sad at the appropriate times in the storyline). I loved Burn and this series is definitely one of, if not my favourite book series ever. I absolutely love your series and have been so excited to read “Burn”! I’m in the United States though and just found out it’s not released here until about this time next year. 🙁 I was wondering if you know of any way I would be able to get it to read before next year, somehow? I’ve checked all over, and I’m not able to get it on ebook or hard copy anywhere since I live here. I’ve never done this before, but I was begging my husband for ideas and he said that maybe you would be able to point me in the right direction? I totally understand if you don’t have any ideas, but I figured I would check! 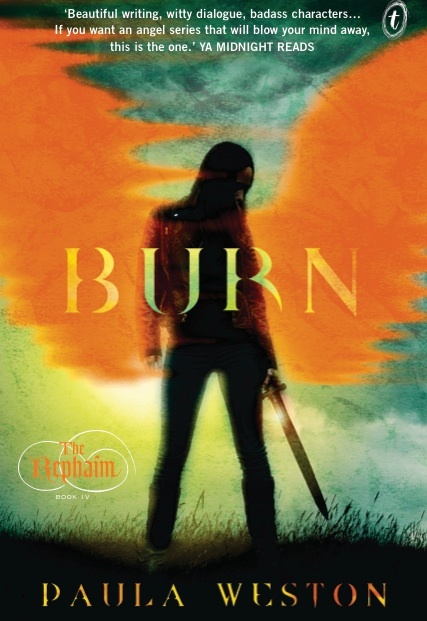 Whether it’s soon or next year I can’t wait to read “Burn”! Thanks so much for your message. I generally like to encourage people to buy the local edition of my books in their part of the world, but I understand your impatience. 🙂 The only edition of Burn released so far in the world is the Australian one by Text Publishing and you can order direct from their site. It’s obviously not the most economical option, but will certainly get you a copy! You can check out that option here: https://www.textpublishing.com.au/books/burn . I still don’t fully understand how e-book licensing works, so I’m not sure if you can access the Australian version the same way. Just checking: have you read Shimmer too? (It’s not released in US/Canada until March next year, with Burn then coming out in June). Hope that helps! Thanks for the advice, I will try that! I have read shimmer, I was able to find a used copy of that off amazon several months after it was published. I am definitely looking forward to reading it however i’m able to find it!! Hello. I’m not sure if you still are looking, but I just ordered the paperback copy of Burn from the US Amazon via seller Book Depository US. It was only $13 with shipping. Granted, the shipping will take a few weeks, but that is nothing 🙂 Good luck! Counting down the days to BURN. Can’t wait!! By the way LOVED the teaser!!!! That teaser certainly lived up to it’s name. Sorry i just saw your post ! i read the teaser the day it was out and i loved it. Of course i long to know what happened to Gabe and Jude but also I am now very excited to read about the “old” Gabe from her point of view and get to know her. thank u for your reply. Hi Paula my name is Georgia and I love your books. I am 15 years old and live in Australia as well. 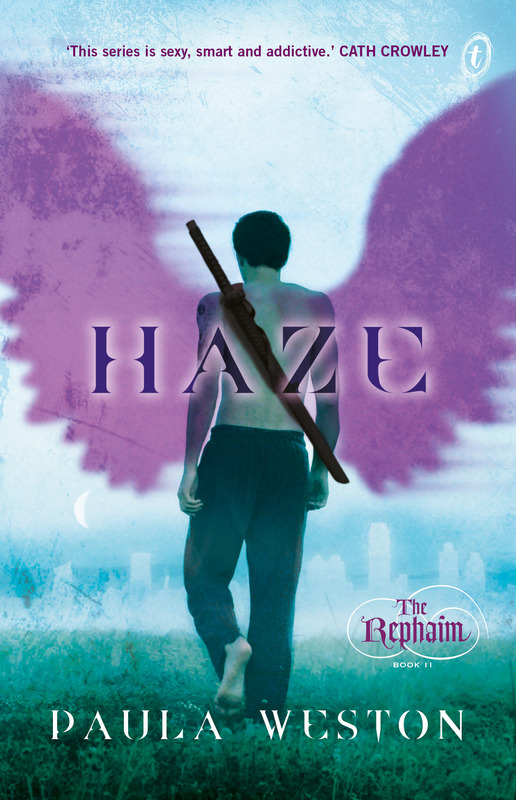 It took me less than a week to read the first three books of the Rephaim series and I can’t wait for the fourth. The chemistry between Gaby and Rafa is arrgh they are just so perfect together. And I’m pretty sure that if they were ever split up you’d have a riot on your hands. I can’t wait to find out what Gaby and Jude were up to and whether Gaby and Rafa end up together. Thank you for your time! Thank YOU Georgia – for your message and for reading the series. 🙂 Hope you enjoy Burn! 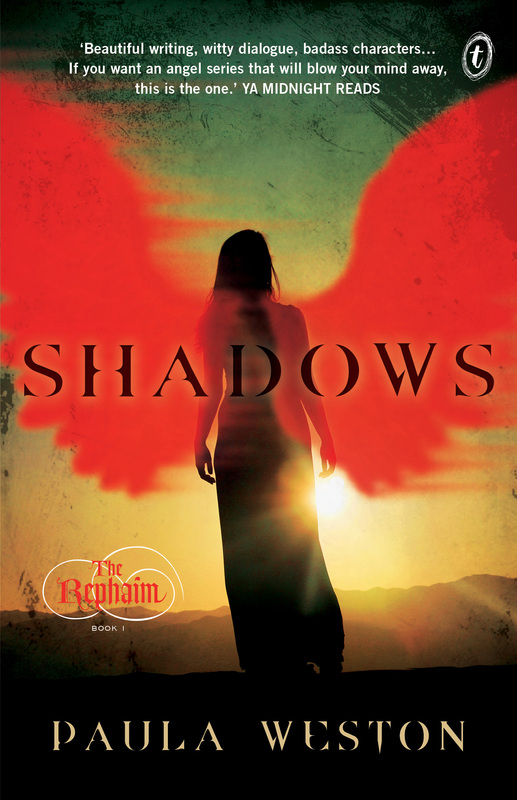 I just wanted to say how much I love your Rephaim series! Ever since my friend Sarah Mutton got me reading Shadows back in 2013, I’ve been hooked ever since! For me, it is rare that I enjoy a young adult series. I cannot wait for Burn next month! So I finally got Burn on Kindle the other day. I wanted to wait and see if any stores around Adelaide would actually stock them in paperback rather than having them shipped in, but alas, they did not. So, after a grueling month of debating whether to order the paperback or get it on Kindle, I chose the latter. And I devoured that book in one day. Hands down, my most favourite book in the series! It wraps up everything so nicely, and even leaves an opening for the imaginative ones to hope there might be a sequel series (I know that’s a slim chance, but I’m still hoping, haha). Thanks Megan! Glad you enjoyed the series – and Burn especially. Thanks for taking the time to let me know. 🙂 Hopefully you’ll enjoy whatever comes next too. I really can’t understand why the release date of the book is ONE YEAR after the publication in UK and Australia. It’s not about waiting the writing of the book. The book is finished and out. So what is it that justify the publication 1 YEAR later? I think would be fair at least give an explanation to people living in this “forgotten” part of the world. Sorry about the comment but it is actually because I like the series. I understand your frustration, and I have answered this question in other comment threads on this site. But it won’t hurt to repeat it here. First up, I have to clarify that I have no say in when my books are released by any of my publishers in any part of the world. With Haze coming out in paperback this year (September), my North American publisher has decided to stick with the paperback (and ebook) format from here on in rather than printing hard covers first. 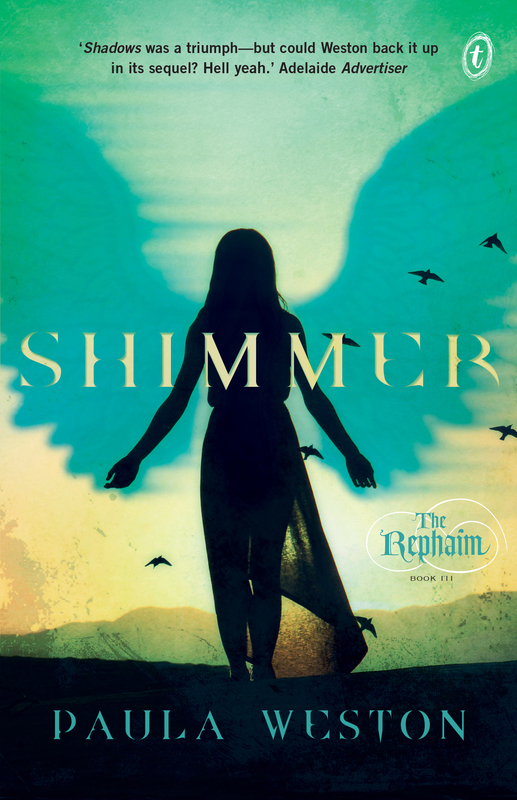 So that means Shimmer will now be released in the US and Canada in March 2016, which is the original date planned for the paperback. The good news is that Burn will the be only three months later in June 2016. I wish I had better news, but the hard covers haven’t sold as well as hoped, so the plan is to focus on the paperbacks and hope that more readers in your part of the world discover the series.